Scott Forstall appeared publicly on June 2017. It was the first time he accepted an interview since he left Apple in October 2012. It was an interesting conversation during which we could hear his point of view about the creation of the iPhone and the iPad. - Silent. Why did he remain silent till now? Remember that he left Apple in October 2012, and this interview is in June 2017. - Departure. The way that he left Apple was confusing. There are many questions not answered on that subject. - Apple. What are their feelings about Apple? How does he see the company now, and how does he envision its future? - Tech. Why doesn’t he work in tech anymore? He said he advises some startups, but he has not led any new big projects. He says: "I am not currently building something myself." Why not? Scott Forstall had the enormous privilege to live a magic moment in history. That gave him a unique knowledge that I and many others will never have. I would like for him to apply that to the next big thing. He is one of the few that can solve big problems with tech. The world does not need another VC or another Broadway producer. 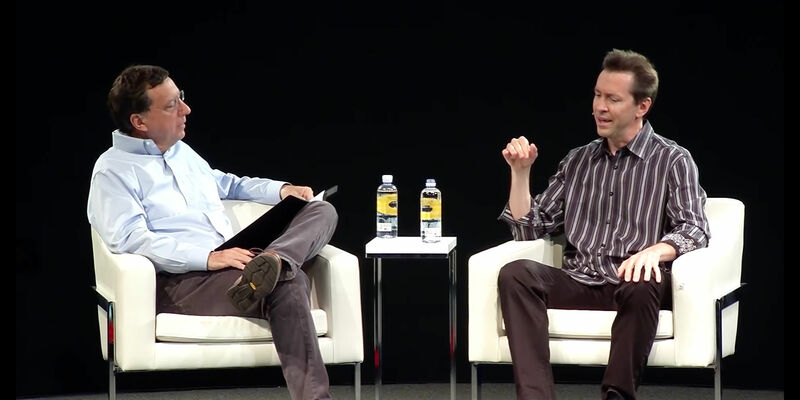 Forstall was interviewed by John Markoff in front of an audience in a public act at the Computer History Museum in June 2017. Scott Forstall is an American software engineer. He had a major role in the creation of the iPhone and iPad. He worked with Steve Jobs first at NeXT. When Jobs came back to Apple, he became Senior Vice President of iOS software. He left Apple in October 2012. This was one year after the death of Steve Jobs. The circumstances of his departure from Apple remain unclear. None of the parts have been very explicit about it. He now produces some musicals on Broadway. He also advises other tech companies. The Computer History Museum (CHM) is in Mountain View, California, US. John Markoff is a journalist specializing in technology. He worked full-time for the New York Times. Now he is a freelancer working for the New York Times and the Computer History Museum. See another post about this subject.